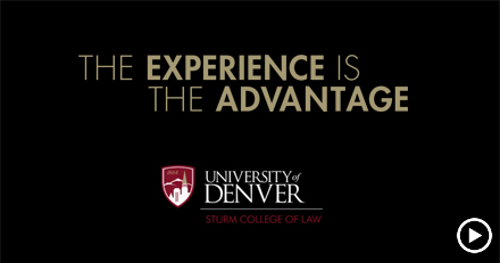 Welcome to the University of Denver Sturm College of Law! At Denver Law, we balance academics with the outside world and help you focus on what matters to you: your career, your future and your life in law. Our curriculum is innovative and global in its perspective, taught by faculty members that are some of the finest in the nation. We offer a traditional Juris Doctor (JD) program, a Professional Part-Time JD Program, four LLM degree options, including Taxation, and four Master’s degree options, including Taxation. 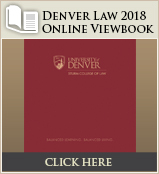 Denver Law’s nationally recognized programs offer students practical skills that make an immediate and valuable impact. We have five specialty programs ranked in the Top 20 and are the nation's ONLY law school with three practical skills programs ranked in the Top 10 by U.S. News & World Report.